WASHINGTON, DC -- US Secretary of State Mike Pompeo and Joint Chiefs of Staff Chairman Gen. Joseph F. Dunford are expected to visit Islamabad next week for talks on security, Dawn reported Thursday (August 30). "[Pompeo and Dunford] are going to fly in to Islamabad to meet with the new government," US Defence Secretary James Mattis said at a Tuesday (August 28) news conference in Washington, according to a US Defence Department transcript. The US officials are scheduled to meet with Prime Minister Imran Khan on matters like fighting terrorism. "[The delegation will] make very clear what we have to do ... in meeting our common foe, the terrorists," Mattis added. 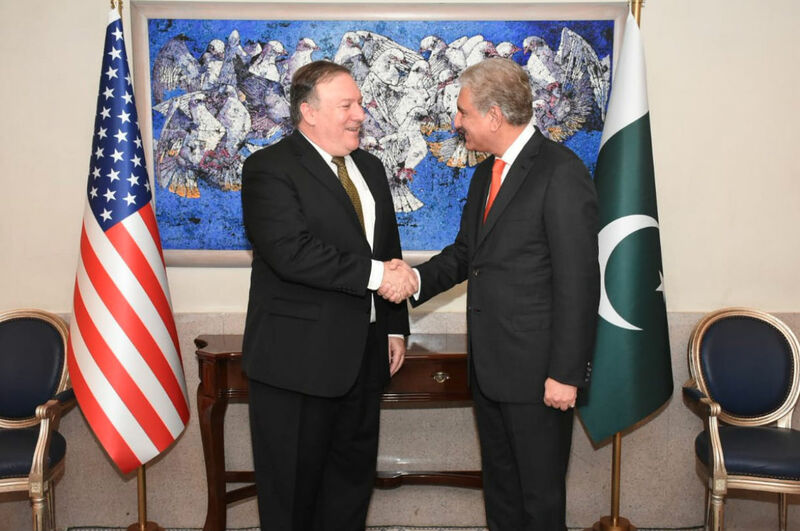 US Secretary of State Mike Pompeo said he was 'pleased' with his meetings with Pakistani officials and hopeful that Pakistan will support the US efforts to end the Afghan conflict.